Based on the award-winning Broadway musical, this is a grand re-telling of the legend of King Arthur. The Kingdom of Camelot seems idyllic - the king has a beautiful wife, Guenevere, and the knights of the Round Table fight for good. Then brave knight Lancelot arrives on the scene and befriends Arthur, despite falling for Guenevere. This situation gives Arthur's scheming, illegitimate son, Mordred, the perfect opportunity to try and claim the kingdom for his own. The film has exciting action with jousting and sword fights, magic with the wizard Merlin and a tragic love-triangle at its heart. All this and great songs too! Contains mild violence and language. 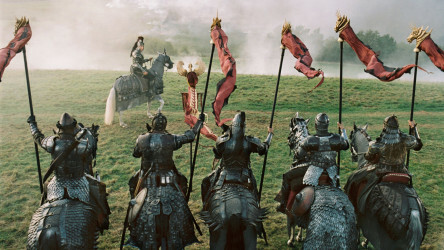 Fresh, unusually realistic action film based on the medieval legend of King Arthur. 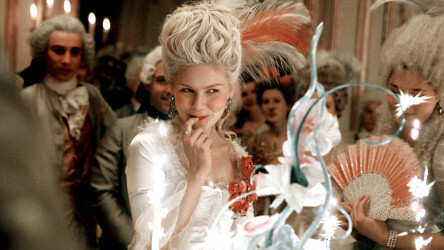 Sofia Coppola film using a rock soundtrack to portray notorious French royal Marie Antoinette as a bored teen, rather than a cruel monster.